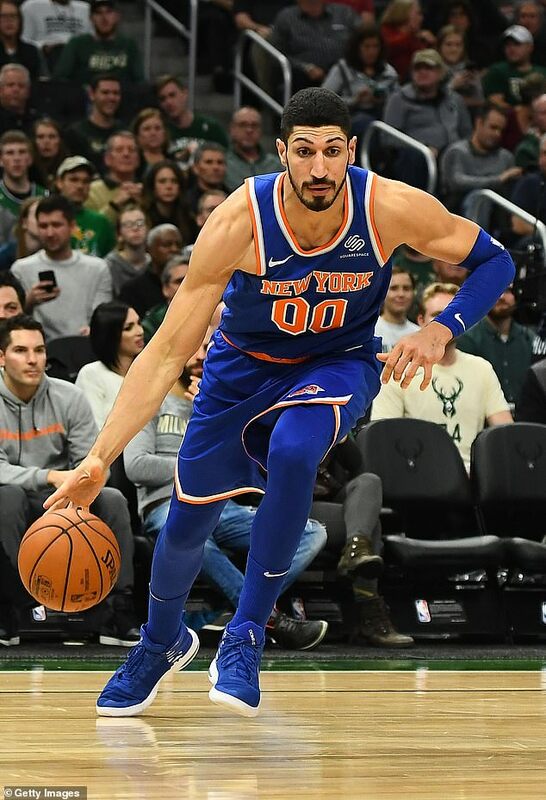 New York Knicks center Enes Kanter says he will not be traveling with the team to play against the Washington Wizards at London’s O2 Arena on January 17 over fears that he could be killed by spies working for his native Turkey and President Recep Tayyip Erdogan. 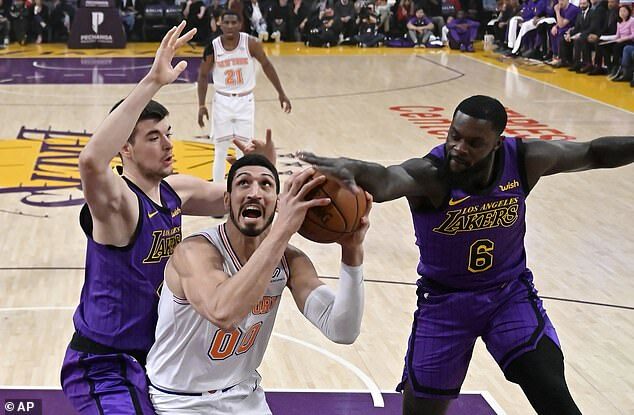 ‘Sadly, I’m not going because of that freaking lunatic, the Turkish president,’ Kanter told reporters after Friday’s win over the Lakers in Los Angeles. ‘It’s pretty sad that all the stuff affects my career and basketball, because I want to be out there and help my team win. But just because of the one lunatic guy, one maniac, one dictator, I can’t even go out there and do my job. It’s pretty sad. However, as a Knicks spokesman told the DailyMail.com, it’s actually a visa issue that will prevent the 26-year-old Kanter from traveling to the United Kingdom. While doing charitable work abroad, Kanter was detained in Romania in May of 2017 when authorities learned his Turkish passport had been revoked. He later returned to the United States, and has been permitted to travel to Toronto for games against the Raptors. 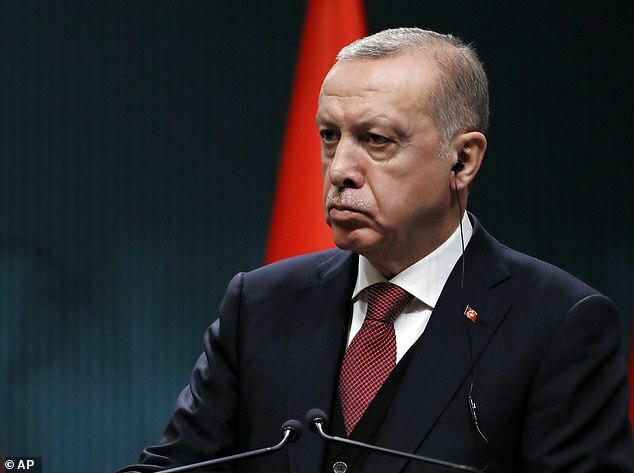 Since 2016, when he survived an attempted coup, Erdogan has been cracking down on the media and political opponents, leading to thousands of arrests. Kanter, who previously said he’s received death threats, is a follower of a U.S.-based Turkish cleric Fethullah Gülen, who the government accuses of masterminding the failed military coup in 2016. Gülen, who lives in exile in Pennsylvania, has denied the allegation, but tens of thousands of people suspected of ties to his network were arrested or fired following the failed coup. In a statement previously provided to the DailyMail.com from the Turkish Consulate in New York, a government spokesman accused Kanter of being a radical terrorist. ‘He is a tragic example, or a case study of radicalization by this cultish crime syndicate,’ the statement continues. 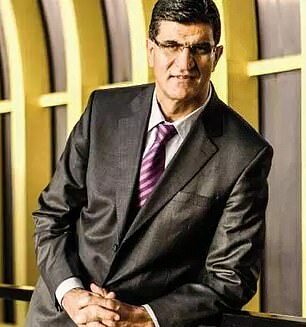 Although he publicly denounced and disowned his son, Mehmet Kanter was indicted on terrorism charges in June and sentenced to 15 years in prison. Prior to that, Mehmet, a professor, was purged from public service after the coup attempt and detained for five days in 2017. Enes Kanter has stated that he believes he father was arrested in retaliation for his outspoken criticism of Erdogan. Kanter has said he’s struggled to sign a shoe contract because sneaker companies are reluctant to anger Turkey, where they have ‘million dollar investments,’ he explained in 2018.